So often, we come to the end of another year and think, “Where did the time go?” Yes, it seems like time just whooshes by these days. We have so many activities and so many distractions. I used to feel that way, too. And I still do a little. But everything changed for me 11 years ago when I started an annual tradition with myself. Now I like looking back on the year coming to an end and especially savor the New Year. Here’s what I do . . .
During the week between Christmas and New Year’s Day I write a list that is titled, “Wow! Look What I Did in 2015 (or whatever year is ending)!” And then I begin logging at least 100 memories! Some of the memories are big and stand out. Others are smaller events or recollections, such as a nice phone conversation with a family member or a chance meeting with a friend. Yes, 100 memories seems like a lot. But when you set yourself up for that many, you’re called to go deep and really dig down into your banks and pull up little experiences that could otherwise not be recalled. I make my list on my computer’s word processor and sometimes add little photos or images to make it fun. The list is just for me, and so I play around and make it creative. And then I save the list in my computer and also print the pages. Now here is the really fun part. I’ve been doing this since 2005. I have the lists of memories, big and small, for all those years. I get to revisit those experiences and in a small way relive them. That’s one of the blessings of our memories. Not all the memories are warm and fuzzy. Last year I listed the unexpected deaths of two family members. And a tough conversation I had with a very close friend, during which I cried most of the time. But the majority of the memories are of joy-filled or growing experiences. They might even be spiritual breakthroughs I encountered or big lessons the Lord taught me during my quiet times. Big. Small. Life-changing. Simple. All go on the list! By the way, the “tough conversation” I had with my dear friend started out very trying and hurtful, hence the tears. Then our exchange turned into a really positive experience that strengthened the bonds we share. So it will be a sweet memory, also. Hi Susan. This is my first time hearing of you and listening to you. Wow. So profound. I’ve already learned so much from your messages and encouragement regarding fasting. God is good and ministering from Him is my blessing! Be blessed on your fast! And thanks for your loving words of encouragement. So looking forward to spending this time fasting with you! A new marriage, adjustment, move etc all highlighted the end of 2016 and beginning of 2017. 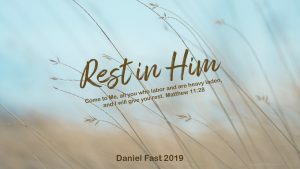 God was always present and has allowed open space for The Daniel Fast. Thank you Susan for your guidance and encouragement through this reflective and powerful time! To 2018. Praise God! I am so glad you are expecting and anticipating greatness in your life as you draw nearer to God! 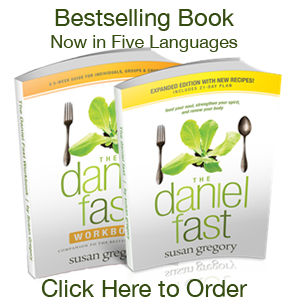 Dear Susan I am looking forward to a starting the Daniel fast, my question is coconut oil allowed to substitute for the Olive oil sometimes. Thank you Renee Grega. Yes, Renee, coconut oil is a great choice. I am trying to locate your pages on all the books and chapter in the Bible reading program. Would you be so kind to help me find them so I can print them off and give them to my small group. Can you give me more details about what you want. I received your email for Day 21 but I cannot get to the worksheet. Can you please help me? This was such a great experience! These videos helped me so much! My second Daniel Fast! This is amazing. I usually write down things on a small piece of paper and thank God for the answered prayers and put them in a jar or can. I will definitely start this tradition. Thank you for confirming what God put on my heart. I was in the woods looking for a missing drone (granddaughter’s Christmas present that got away) and feeling fairly sorry for myself and apathetic about life right now. Then I thought I needed an “Ebeneezer” to remind myself of all that God has done this past year. Came in the house and here was your newsletter. I do like the idea of writing in a calendar/journal during the year so I won’t forget all that He has done. That way I can also go back during the year when I need to be reminded of His great love for me and working in my life. May God bless you for all you do to help women find their potential in the Lord Jesus Christ. Excellent idea! I am loving it. I’ll certainly compile mine as well. Thank Susan for sharing this wonderful idea. What a great way to not only count our blessings, but also to recall the valleys that God pulls us through. May you have a beautiful and blessed 2017 to reflect upon next year! Inspiring…as you always are. It sounds like a beautiful opportunity to praise God for the victories of the year . It could be healing as well to mindfully thank Him for carrying you through the rough waters too. Also, it would be a legacy for your children as well. I’ll take on the challenge! Blessings as you embrace 2017 and what He has in store! I started doing almost the same thing in 2014. I have a couple of other things I add to my list. The list includes favorite quotes, books read, movies, places, songs, places, scripture and finally lessons. It doesn’t have to be a long list. But during the year I write this information on my monthly planner and fill in the form at the end of the year. It’s kind of a wrap up of my year. The first time I did this was awesome I didn’t think my year went well and was a little lonely for Christmas and I decided to review my year. What a blessing and great memories! Happy New Year! Thanks for sharing your ideas! God is so good! Be blessed and Happy New Year to you! Susan, I love this idea and plan to start my Wow list today. In the past I have struggled with remembering things and I believe this is something the Lord led me to in order to help me overcome that negative belief about myself. One thing I have done for the past 4 years is, starting in Nov, I ask the Lord for a directional word for the upcoming year, a word to focus on for that time period. My word for 2016 is ‘refine’ and I am so excited to see what all He has planned to help me grow this year and be refined in Him! Thank you again for sharing this idea…I can’t wait to get started! Blessings!!! I am so glad you are adding this to your own traditions and also that you wrote this message! I too “name my year.” I do it on New Year’s Eve. Rarely do I go out and party. Instead, I celebrate the closing of one year and the entry of the New Year with the Lord. It’s a time of prayer, planning, dreaming, AND naming the coming year! REFINE is a lovely goal for your New Year. Filled with hope, promise, and positive change. Thank you for sharing this with me and others. Be blessed in the remaining days of 2015 and in all those that await you in 2016! Hi Susan! Thanks for the great idea!! Its really a form of self-reflection on how we hv spent almost last 363 days in 2015, and also to reflect how God has blessed us through!! Also.. will be timely to reflect whats next as i prepare myself to embark on Daniel Fast in Jan 2016! Cheers!!! Your idea is brilliant! So simple as well as fullfilling and valuable for years to come. 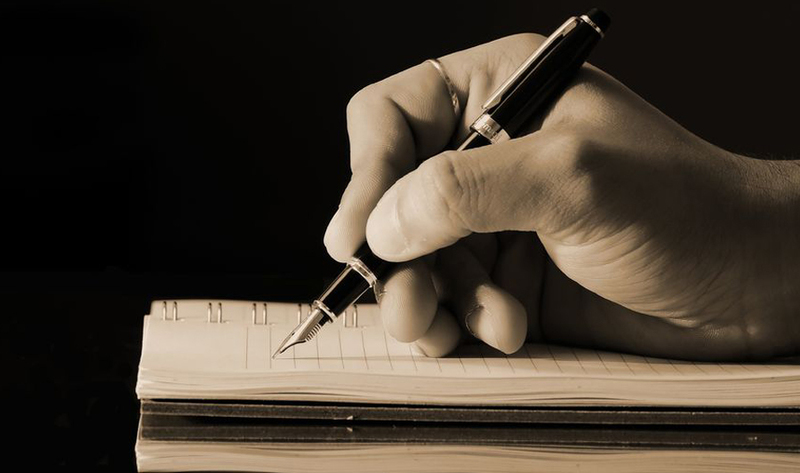 I’m going to begin writing my Wow list right now…..looking forward to taking time to reflect and see what’s revealed. My bet is it will be very nurturing to my soul…because I tend to feel I never do enough. Thank you for sharing your Wow tradition Susan. Many blessing to you this new year! I hope you find this experience one of joy and even discovery. Just today in my quiet time and study, I experienced a “liberating time” from the Lord as I learned more about our faith and our walk with Him. That experience will go on my list! So much for us to recall. So many blessings. So many memories. Be blessed and thanks for your message! What a great idea! The practice of taking time to remember is such a good thing to do for our brains and our spirits. It allows Jesus to enter into those memories and sometimes even transform them. I will definitely begin this practice now. Yes, allowing Jesus to enter into those memories is a powerful way to approach this experience. Our lives seem to rush by so quickly! This tradition has helped me capture a lot of what could be forgotten! Thank you do much for sharing this end of the year tradition. I think it is a wonderful experience and can’t wait to start it myself this week. Thank you for encouraging and inspiring us. I expect that you will find great joy and rich blessings as you make your list and recall your experiences of the year! Thank you for your sweet words. God is so good. I am thankful beyond expression for the blessings I receive from Him and can share with others. Susan I have your book, I actually did a raw fast in the beginning of 2014, then lots of crazy life happened. I am a Shaklee dist so I try and incorporate the fast and use my Protein Drink. Be blessed as you focus more intensely on the Lord during your time of extended prayer and fasting. He has so much to give us as we turn our minds and hearts to Him. What a great idea! The year seems fast and when we look at all that God has done we can be grateful for the 365 days!! Will start this right away! A calendar will help and pictures will help as well! Thanks for your ideas! Yes, some memories can be linked to a calendar . . . and it can serve as a tool to remember experiences, also. I like adding pictures and images to my list. It’s fun and gives me great joy every year and for years to come as I look back.